Normally I stir fry hollow heart vegetable with garlic and fish sauce, today I wanted to try it more Taiwanese style, with black bean sauce. 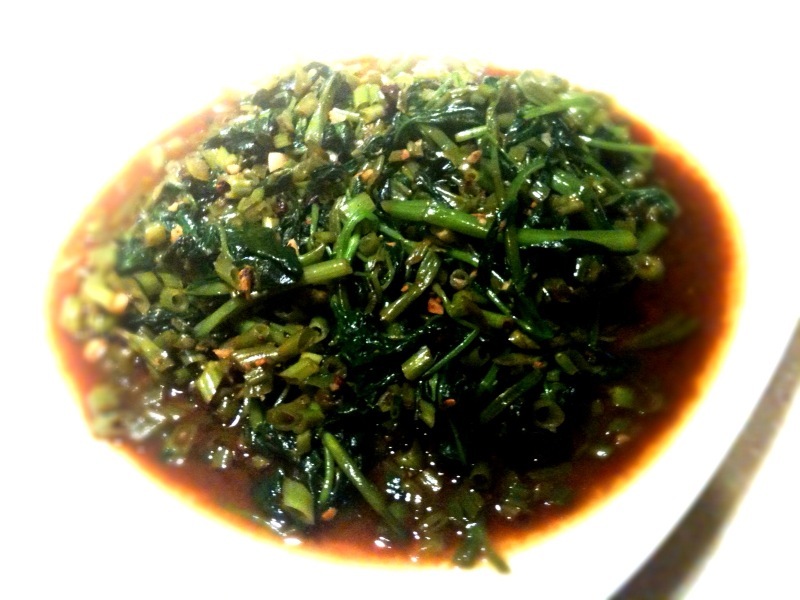 The stems were chopped into small pieces, just like how my Mama used to cook back at Taiwan! Clean the hollow heart vegi thoroughly. Heat up the oil in a wok, stir in garlic until fregrant, then add the black bean sauce, stir around, then add the small pieces of stem, stir for 2 minutes. Add the leafy part, cover wok for 1 minute to let the leaf welt, stir a bit then add in fish sauce, when all leaves are welt, it’s ready to be served!